In the wake of the Super Bowl, advertisers are either reaping the benefits of their newly found broad brand awareness or wondering what went wrong with their 30 seconds of fame. This year, ads will go for a jaw dropping $5 million per 30 second spot. Add to that the production costs, online / social media seeding and you’re looking at $6-8 million per 30 second spot. At least. Some brands are synonymous with the Super Bowl, like Budweiser. If Budweiser suddenly decided to stop doing the Super Bowl, anarchy might ensue. But for a scrappy start up just looking to score big in brand awareness, is it all worth it? Don’t get me wrong, with an estimated 120 million viewers, there are no other opportunities on television that could net you such an audience. Notice I mentioned “on television”. If you noticed last year, the majority (57%) of Super Bowl ads used hashtags. Why? Advertisers ultimately are trying to drive people online so they can engage them. This all got me thinking about those scrappy start up brands that are lumping everything they have into one gamble on a Super Bowl ad. Leaving the production and online seeding expenses aside, that $5 million would buy around 500 explainer videos. Not that you need that many, one good one will do. But you could. You could build an interactive “experience” website with a ton of custom video content for one hell of a web series. All lightly branded of course. You’d have a truckload of money to put into seeding the content on social media to build awareness, engagement and sharing. In other words, where do you want to gamble? On any given day there are over 90 million people in the United States are online. Those people will watch an estimated 11 billion online videos daily between YouTube and Facebook. That’s EVERY day. Not one Sunday in February. In a savvy move last year, Esurance aired the first nationally run ad AFTER the Super Bowl. In that ad they announced that they will be giving away the money they saved by not running an ad during the game. Brilliant. The question going forward is what will be the bold and memorable move people will remember and will it be on television at all? 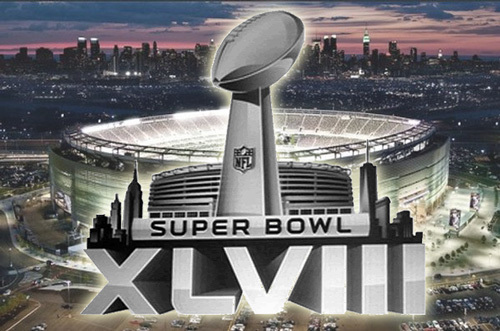 So what does the future of Super Bowl advertising hold? Big brands (I’m looking at you Budweiser) will likely continue along this traditional Super Bowl advertising path. It’s their gold mine. They are expected to deliver. But I see huge opportunities for brands who can build an online only experience where they can get more bang for their buck. Just something to consider, what do you think? The numbers really are staggering when you think about it. It seems like a pretty big gamble for less established brands to be dropping $4 million for :30! I’ve heard the success stories of explainer videos. It’s definitely a sound investment, and obviously a heck of a lot more affordable while still giving the potential opportunity for worldwide viral exposure.